"In your second life, you'll be an olive tree whisperer." Under this theme, you have to imagine the second-life of the former property contractor Thomas Lommel. Some 20 years ago, he found himself in the middle of a life-crisis that he self-treated with the magical power of the olive tree. He then ventured out, with the passion of the forces of nature coursing through him, to successfully found a holistic oriented company centered around the legendary power of the olive tree. 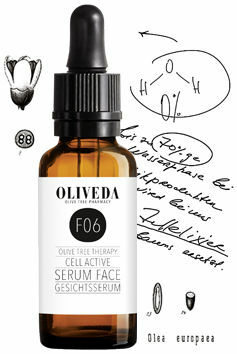 From this emerged the Olive Tree Therapy and the basis of an entire line of luxurious Bio-Active Cosmetics: OLIVEDA. Flashback to almost 30 years ago: Thomas Lommel, former Waldorf student and exceptional athlete in the Elite Sport Grant of the German army, ends up in the real estate business - and that somehow through friends while visiting an astrologer. She prophesied to the young man in his early twenty-something’s, much to his amazement, "I see your true calling somewhere else. Something with working creatively, the earth, and trees under the sun - triggered by a deep cut in your life." Thomas Lommel didn’t take the astrologer seriously at that time and he quickly forgot all about it. He was “too busy”, as he tells the story today, and "in the pursuit of my happiness." He had success with his real estate investments, and had more than 1,000 employees by the time he was in his early thirties, but his life’s happiness was further away than he could have ever imagined. And then it happened - the deep incision cut through his life in his early thirties, but it was also his greatest thing to ever have happened to him. For the first time in his life, he embarked on a journey within and asked himself the big question: "What would I do if I possessed all the time and all the money in the world?" 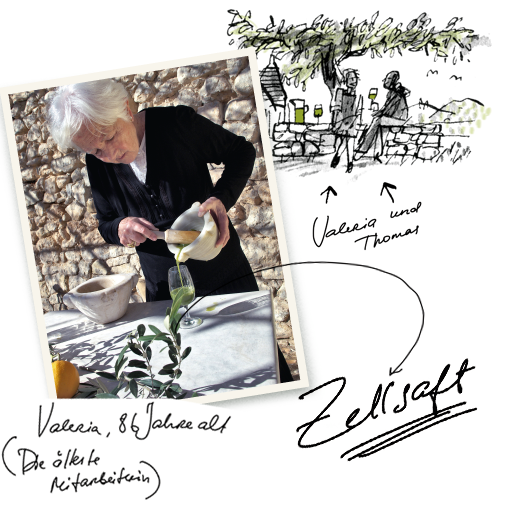 Olive trees, a piece of land, and a life under the southern sun. 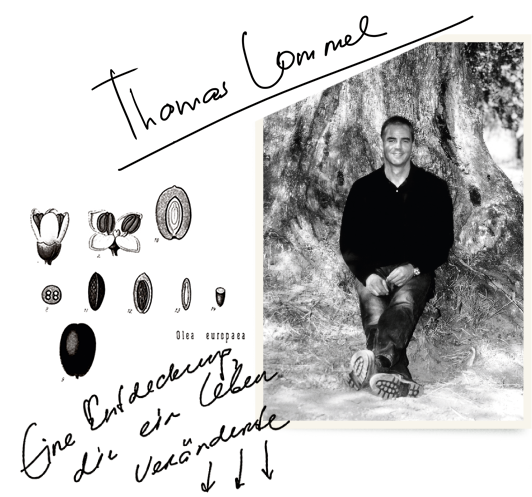 Thomas Lommel began to perform a kind of communication with olive trees - to study and meditate with them. He dealt with quantum physics and the guiding light, and set aside his cortisone to treat his afflictions with the healing power of the olive tree. The olive tree is a great love that has an everlasting hold on him. Lommel embarked on the path of the olive tree in the Mediterranean, studied in different countries how of top-grade olive oil is produced, leaned from sapient herb wives, and discovered in Apulia, Italy, the secret of centenarians – the fresh, green as grass cell sap of the olive leaf in which the counterbalancing forces of the olive trees are contained in their entirety, and are up to 3000 times more potent than in high-quality olive oil. 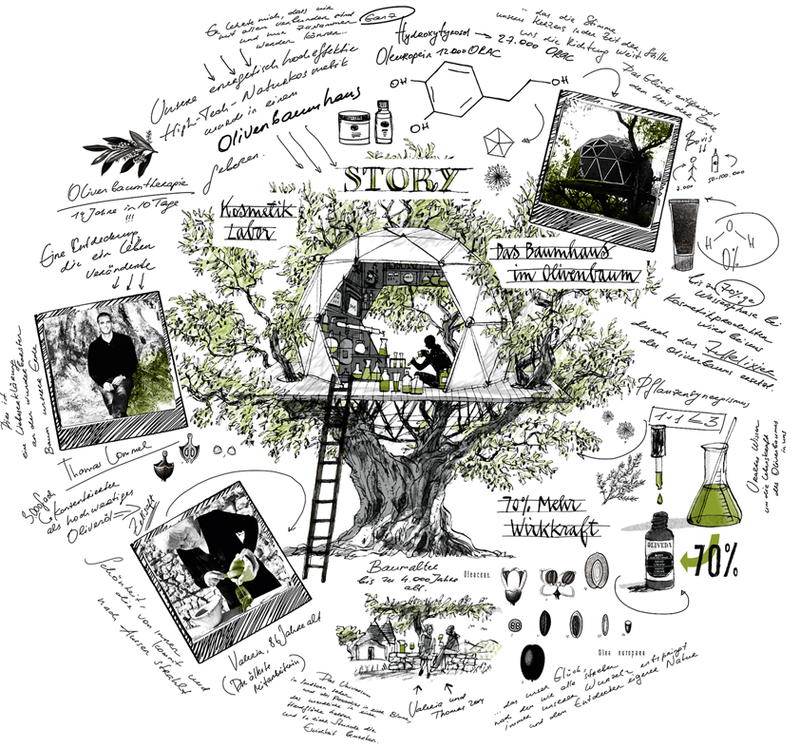 Olive trees, a piece of land, and a life under the Mediterranean sun – this is how Lommel began to develop his first elixir for internal use, with great idealism and even more passion while living in his olive tree house in Andalusia, Spain, intuitively and based on the cell sap from the olive leaf. 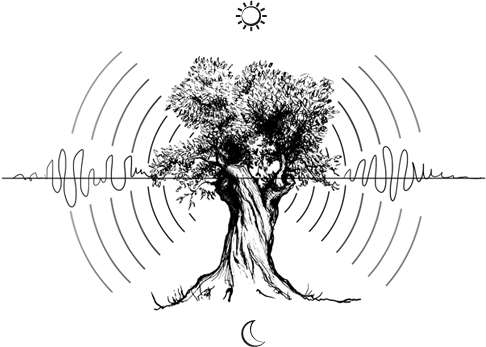 In the practices of medical practitioners, the holistically acting and counterbalancing elixir, with the power of a 1,000-year-old olive tree, had an immediate and resounding success after just the first applications. 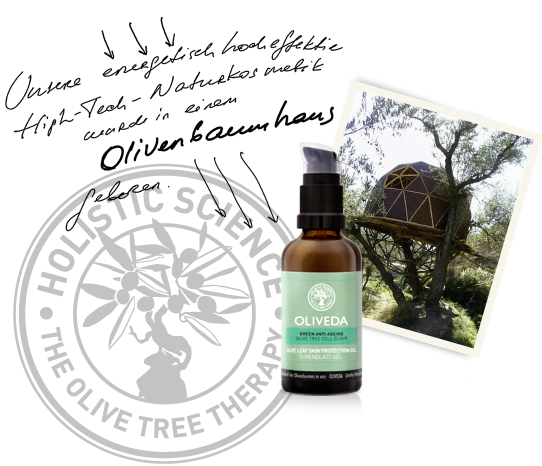 Lommel's concept of Olive Tree Therapy, the Mediterranean Ayurveda with products for internal and external usage, is born. 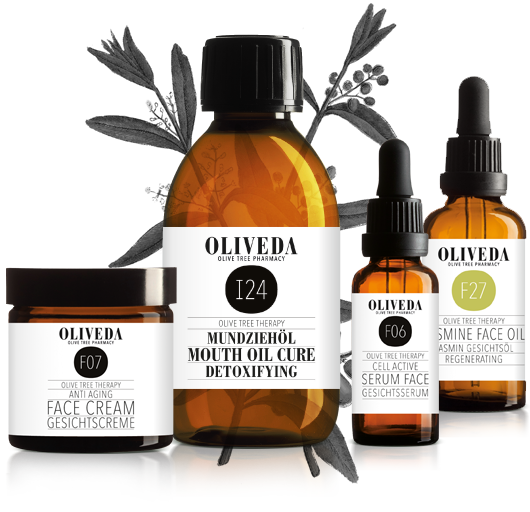 After another seven years of development and hundreds of successful experiments, what made OLIVEDA different from other cosmetic products, and what makes them unique, is their potency. 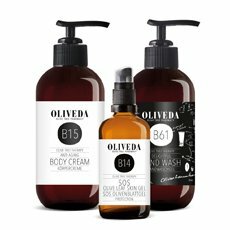 Through a complex biotechnological process in harmony with the olive trees and nature, OLIVEDA replaced the standard 70-percent water-base of other cosmetic brands with the cell elixir and hydroxytyrosol complex of the olive tree. 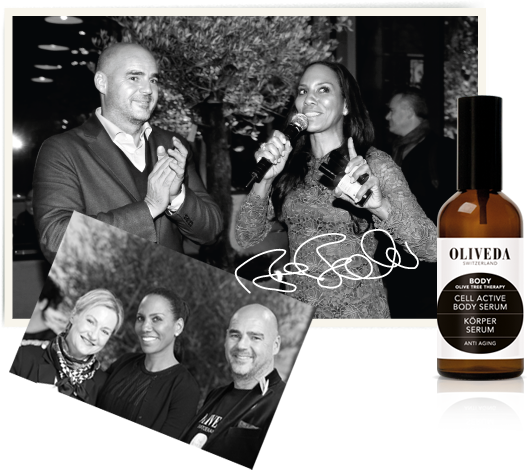 The combination of the powerful elixir, hydroxytyrosol complex, ancient herbal convent recipes, and plant synergy makes OLIVEDA products a highly effective, high-tech line of natural cosmetics that offer much more than just perfect care for each skin types and perfect protection against free radicals. 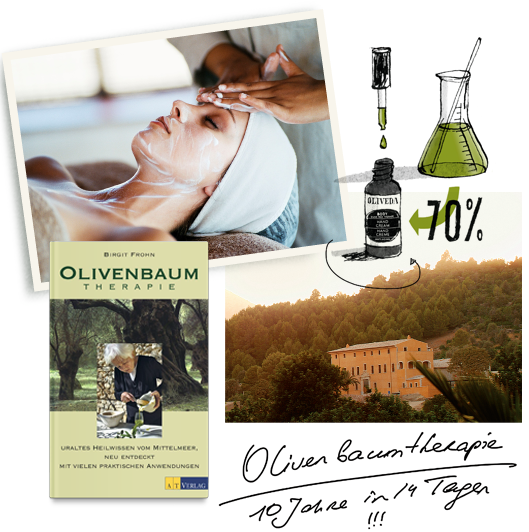 AT Publishing House releases the book Olive Tree Therapy, where bestselling author, Birgit Frohn, tells the story of Thomas Lommel and OLIVEDA in 2007. 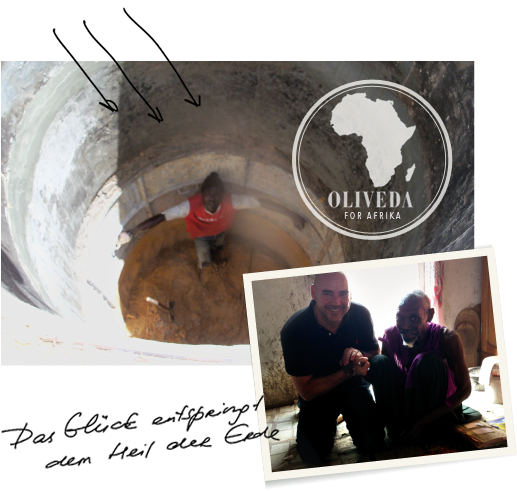 In industrial nations, such as many on the continent of Africa, where one quite literally must dig for water, OLIVEDA launched the water project "OLIVEDA for Africa" in August 2013, in Senegal. In the villages and Mhaba Pellew, 80 kilometers from the capital Dakar, Thomas Lommel breaks ground for the first 35 and 80-meter deep wells. Pure with cool with Attitude - cosmetics should be not only be effective, but also be easy to look at. 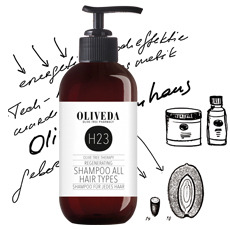 The brown bottles and flasks flood your bathroom at home with style, and are an absolute eye-catcher. With the opening of our first flagship store on September 1, 2015, the starting shot for our Olive Tree Pharmacy store was fired. 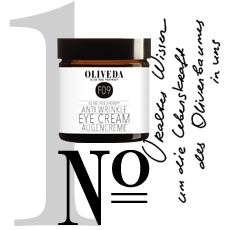 With the Olive Tree Pharmacy, a long dreamt vision is finally fulfilled: the miracle of the olive tree, with its whole-body medicinal and beauty powers, is made available to all. 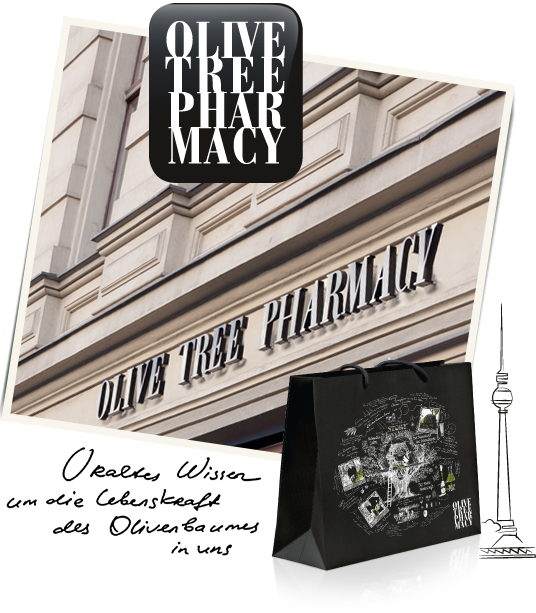 In our Olive Tree Pharmacy stores, our customers are counseled, in depth, on Olive Tree Therapy, and their individually tailored Olive Tree Therapy Home Sets can put together. 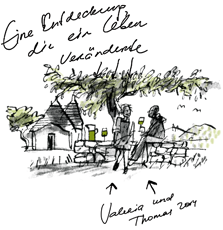 Together with artists, university professors, life science researchers, physicists, and IT specialists, Thomas Lommel breathed an extraordinary project into life: giving a voice to the mountain olive trees, allowing them to be heard, and even enabling mankind communicate with them.